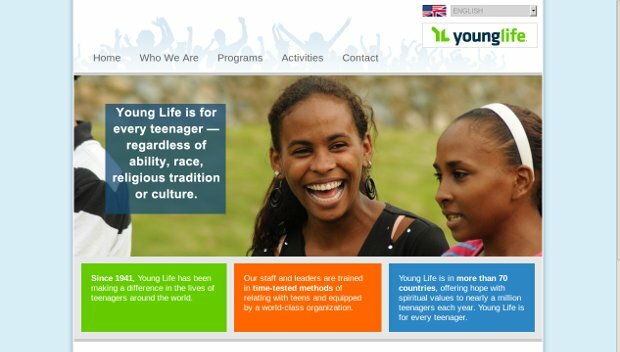 Young Life is a mentoring based organization that seeks to provide mentors for youth. Their goal is to meet kids where they are, and build a presence in the lives of the young people that they work with so that they can exert a positive influence. It starts with concerned adults who spend time building bridges of authentic friendship with teens — where they are, as they are. Because their leaders believe in them unconditionally, teenagers begin to see that their lives have great worth, meaning and purpose. Young Life offers teens adventure, hospitality and unconditional friendship. The organization’s staff and leaders build relationships with teenagers, inviting them to various activities, meetings called “club” and camp. Here teens can be themselves, have fun and consider some of life’s biggest questions like, “How can we best live our lives?” and, “Why are we here?” Young Life staff and leaders work alongside families; furthermore they’re supported by, and seek to connect teens to, established churches and other ministries in the communities and countries where Young Life is active.